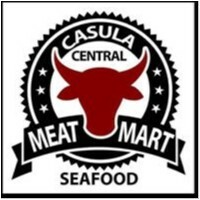 Casula Central Meat Mart joined our Mission to help provide access to “Clean Water for All by 2030”. This Mission was initiated by the United Nations. A big thank you to Casula Central Meat Mart’s team and customers for joining this extremely important mission on 11 December 2017. Casula Central Meat Market is a brand new store here at Casula Central. We have quality cuts of meat to suit all budgets and tastes as well as the freshest seafood without having to travel to the fish markets.